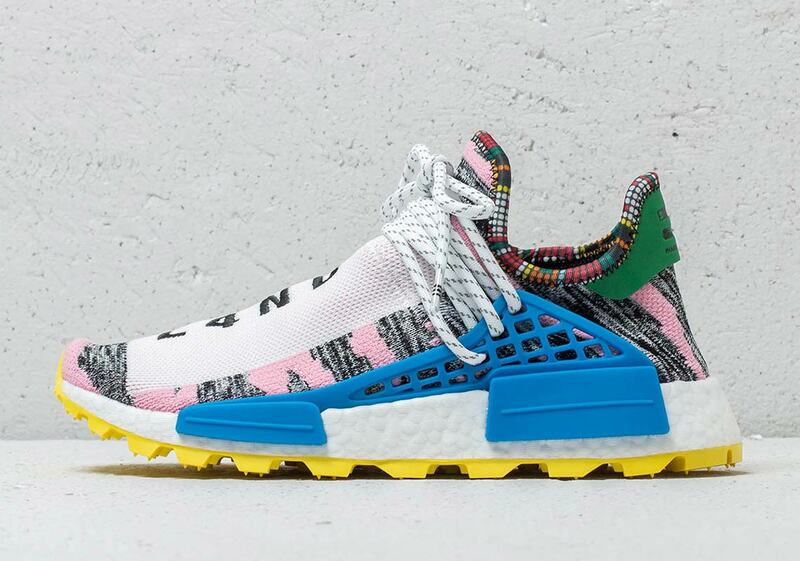 With the hottest days of summer mostly behind us and fall right around the corner, Pharrell and adidas are set to release a five-shoe Solar Hu collection inspired by Skateboard P’s love of peace and the transcendent state one can enter while running. 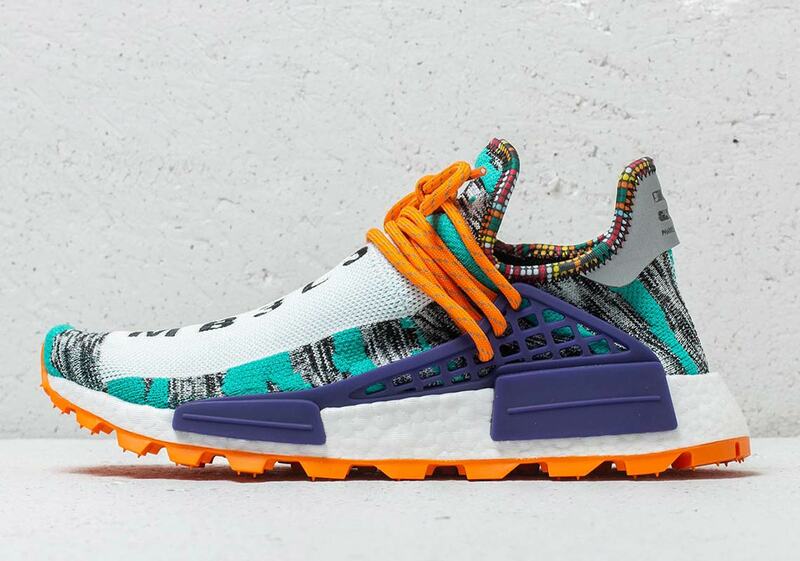 The three adidas NMD HU shoes in the pack feature wildly colorful detailing, a new sole, and unique text hits: the yellow pair combines “MOTHER” and “LAND,” the yellow opts for “INSPIRE” and “EMPOWER” hits, and the teal pair combines “MIELE” and “MBELE” (Swahili for “forever forward”). All three of the inspiring phrases are done up in a unique text style that swaps out some of the letters for numbers, providing a striking binary code style look. 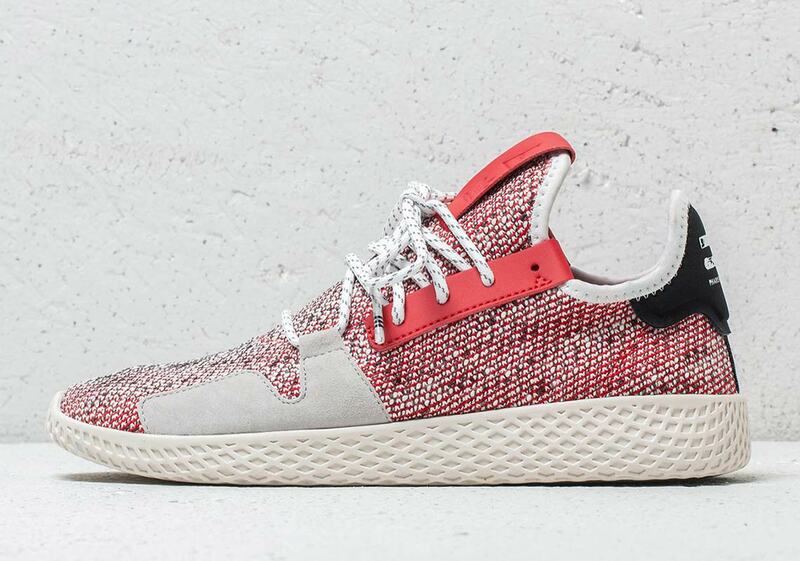 The Solar pack also serves as the debut for the new adidas Tennis Hu v2, which arrives in both a red and a yellow colorway. The new v2 keeps the classic Stan Smith-inspired look from the first iteration alive while adding a brand-new lacing system with leather and suede overlays to differentiate itself. 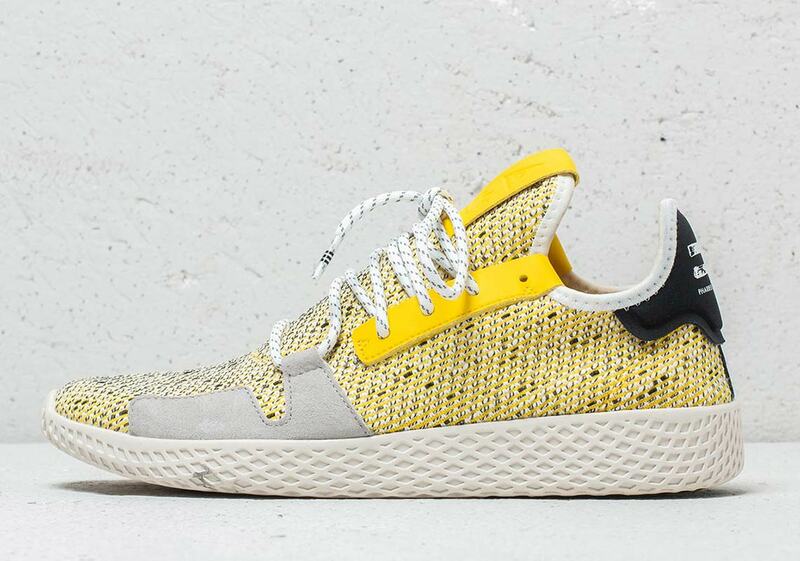 The entire pack—which also consists of collaborative apparel—is set to release at adidas Originals stockists August 18th, so check out a comprehensive Where To Buy list for each of the five shoes below for your best chance at getting your hands on a pair or two. 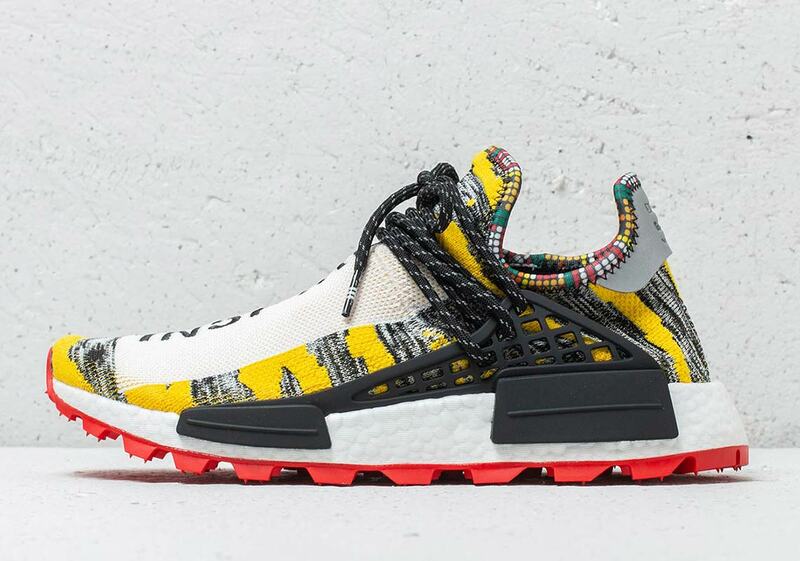 Updated August 27th, 2018: All three colorways of the NMD Hu will restock on Friday, August 31st.